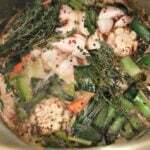 Turkey Brine can add subtle flavor to your turkey as well as keep it from getting dry. Salt, spices, vegetables, and fresh herbs are the key! The first time I cooked a Thanksgiving turkey was in 1990, when we traveled to Virginia Beach to stay with friends who couldn’t come home for the holidays. My girlfriend and I had no idea what we were doing, but we knew how it was supposed to turn out. So we popped our 20 lb. turkey (there were 4 of us) into her tiny apartment oven and about six hours later, the turkey appeared to be done. It was a beautiful, golden brown. And dry. Very, very dry. Needless to say, our husbands were less than thrilled. And we can’t even talk about the gravy/cement paste/deadly weapon that we created. But it was still fun and one of the most memorable Thanksgivings ever. If you’re a first-time Thanksgiving cook, the most important thing to remember is that even if you totally foul up the fowl, (sorry) what’s important is the people gathered around your table—starving—but happy to be there. So, open another bottle of wine, order a pizza, and call it good. When it comes to the Thanksgiving bird, there are two camps: briners and non-briners. 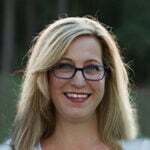 Well, I guess there are also two other camps: stuffers and non-stuffers, although I never knew anyone who actually stuffed the turkey until I moved to Atlanta…and let’s just say, they ain’t from around here. And that’s enough said about that. At any rate, I am definitely in the brining camp. It’s more trouble, but oh, is the bird moist and tasty when the process is done. I came across a brining recipe in Bon Appetit magazine in 1999, and another in Martha Stewart Living in 2001, both of which I’ve adapted over the years. I use this turkey brine every year as well as a wonderful herb butter rub that goes on the outside of the turkey, leaving the skin crispy and flavorful while the meat inside is juicy and tender with a subtle hint of flavor from the herbs. You need to plan ahead for this recipe. You can’t just decide Wednesday afternoon—or Thursday morning if you’re a really late planner—that you want to brine your turkey. It takes a while to put the brine solution together and a while for it to cool off enough for the turkey, and after the turkey soaks overnight, it needs to sit uncovered in the fridge for at least six hours to dry. So, plan ahead and start this turkey brine process on Tuesday. Place sugar, salt, and honey in a large stockpot. I use this one that I bought at Wallyworld for about $45. It’s large enough to hold a 20 lb. turkey along with the turkey brine, or enough chili or low country boil to feed a large crowd. Add one and one-half quarts of chicken broth and boil until sugar and salt dissolve, stirring every few minutes. Stir and remove from heat, then add all of the spices, vegetables, and herbs. 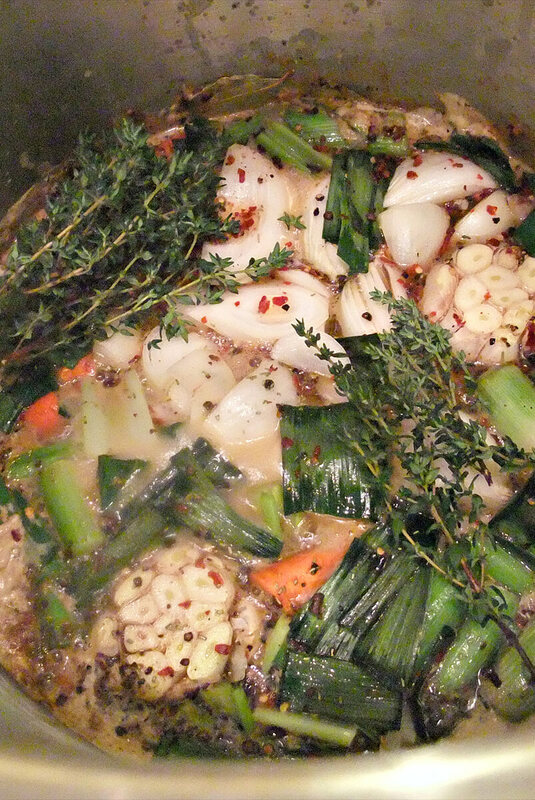 Stir in the water and the other ½ quart of chicken stock. You can add ice to the water to cool things more quickly if you’re in a bit of a hurry. Stir the solution and let it rest until completely cooled. Do not put your turkey in warm brine solution! Once the turkey brine has cooled completely, add the turkey, neck down, and make sure it is submerged. Cover and place the pot in the refrigerator. 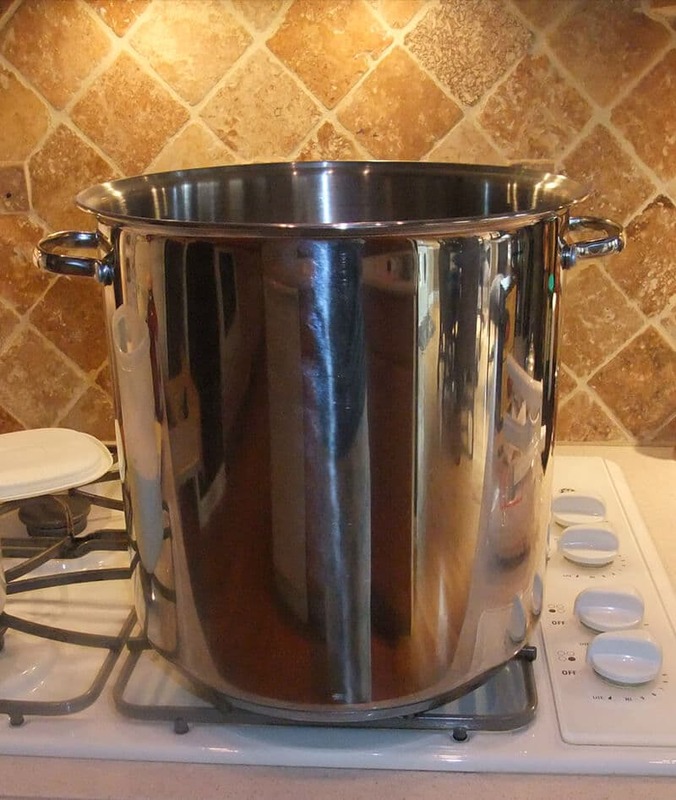 If you don’t have a big enough pot, you can use a bag inside a 5 gallon bucket, and if you don’t have room in the fridge, you can use a bag and place it in a large cooler filled with ice, just make sure the temperature doesn’t get above 40°. The turkey needs to stay in the brine for 12-24 hours, depending on its size. Then remove the turkey from the pot and pat dry with paper towels. Place turkey in the refrigerator on a large cookie sheet or platter, uncovered, for at least 6 hours and up to 24 hours before roasting. This drys out the skin so it gets nice and crispy, but the meat still stays moist from the brine. Be sure and remove the turkey from the fridge at least an hour before you are ready to roast. That’s it! Now it’s time to roast the bird. The best brine for turkey with fresh herbs and spices. Place sugar, salt and honey in large stockpot. Add one and one-half quarts of the chicken broth. Bring to a boil and boil until sugar and salt are dissolved, stirring every few minutes. Remove from heat and add the spices, vegetables, and herbs. Add water and the other ½ quart of chicken stock. You can add ice to the water if you need to. Stir well. Let sit until completely cooled. Do not add turkey to warm water. Add turkey with neck down, make sure it is submerged and cover and place in refrigerator. If you don’t have a big enough pot, you can use a bag inside a 5 gallon bucket. If you don’t have room in the fridge, you can use a bag and place it in a cooler filled with ice. Just make sure it stays at 40 degrees. Turkey needs to stay in the brine for 12-24 hours, then remove and pat dry with paper towels. Place turkey in the refrigerator on a platter, uncovered, for at least 6 hours and up to 24 hours before roasting. This will dry the skin so it gets nice and crispy, but the meat will still be moist from the brine. Be sure and remove the turkey from the fridge at least an hour before you are ready to roast.